The first step in getting your target audience to discover your website is to look great in the eyes of the search engines. Our search engine optimization (SEO) audit provides the information you need to start showing up in the search engine results pages (SERPs) for the right keywords. You'll gain valuable insight into how the search engine spiders currently see your website as well as learn about opportunities for improvement. Our SEO audit uses state-of-the-art software to run your website through a "crawl test" that essentially grades the site the way search engines rank it. From there, our SEO professionals can see exactly what needs to be done in order to get your site ranking for the keywords your target audience is searching for. 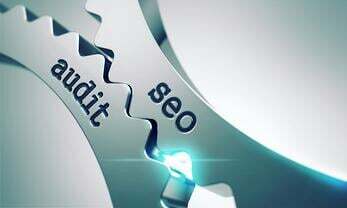 Why do a Site Audit? Even if you think your site is foolproof, there's no such thing as a perfect website. Search engine algorithms are constantly changing, and keeping your site up to date is essential for you to maintain strong rankings. Even large, well-known websites can have tens of thousands of errors, while smaller websites can only have a few. The point is, you'll never know unless you investigate! Another reason to do an SEO audit is to make sure your mobile user experience is top-notch. Mobile friendliness is now an important ranking factor for search engines, so if your site isn't optimized for mobile devices you could be missing out on major amounts of web traffic. Plus, website speed has become more important than ever. According to a recent study, more than half of all website visitors surveyed will leave a website if they must wait more than 3 seconds for a page to load. Our SEO audit can help identify factors bogging down your website speed. We believe in building a better digital experience for your users and your business. The knowledge gleaned from our SEO audit will empower you to make strategic changes to your website - changes that will ultimately benefit your business' bottom line. Simply fill out the form and we'll get back to you within 24 hours with the results of your SEO audit.